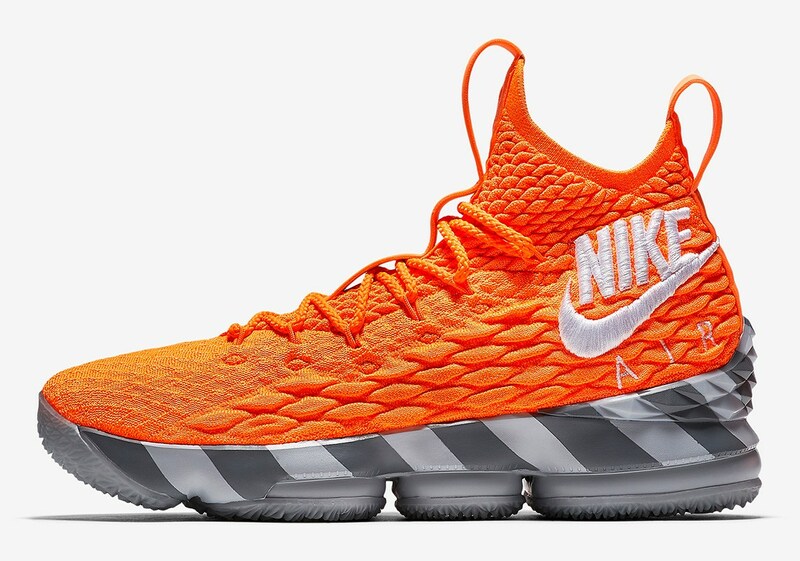 Inspired by Nike's old box/packaging Lebron and his design team made this colorway of the Nike Lebron 15. 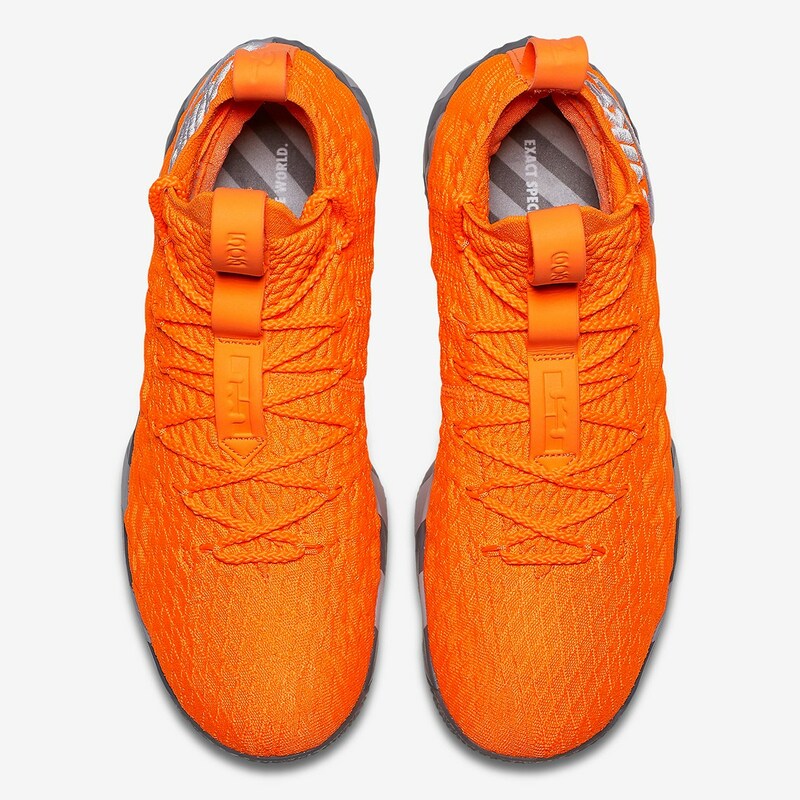 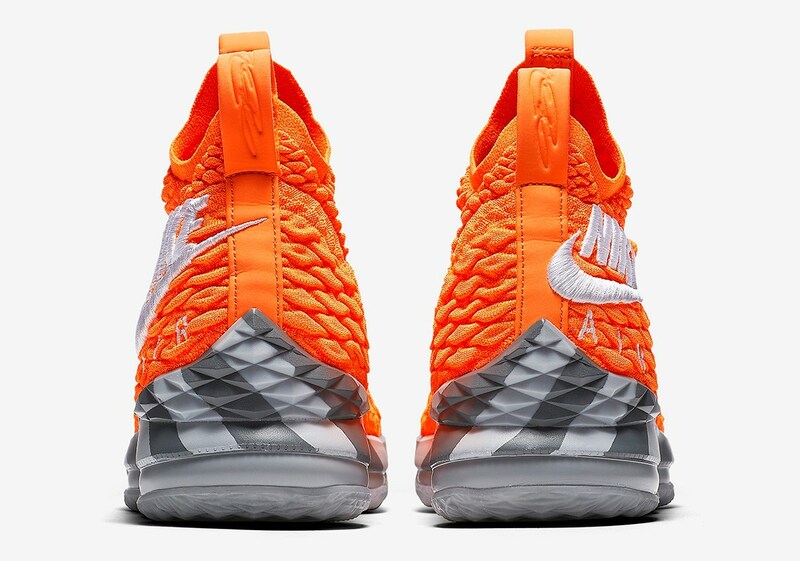 It has an orange Battleknit upper with white accents on the Nike branding on the lateral ankle aspect of the shoe. 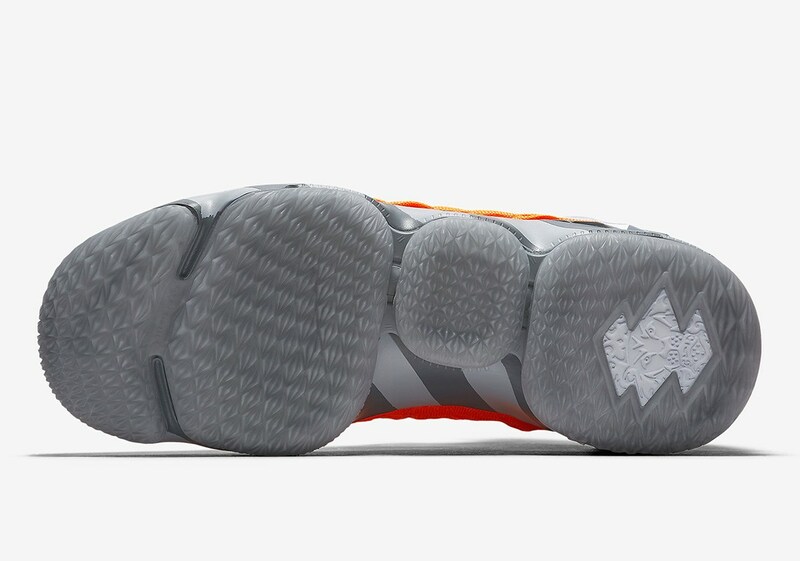 While the color of the upper is really loud, there are grey accents on the midsole area of different shades and even the outsole is made in grey just to give a more balanced color blocking on the shoe. 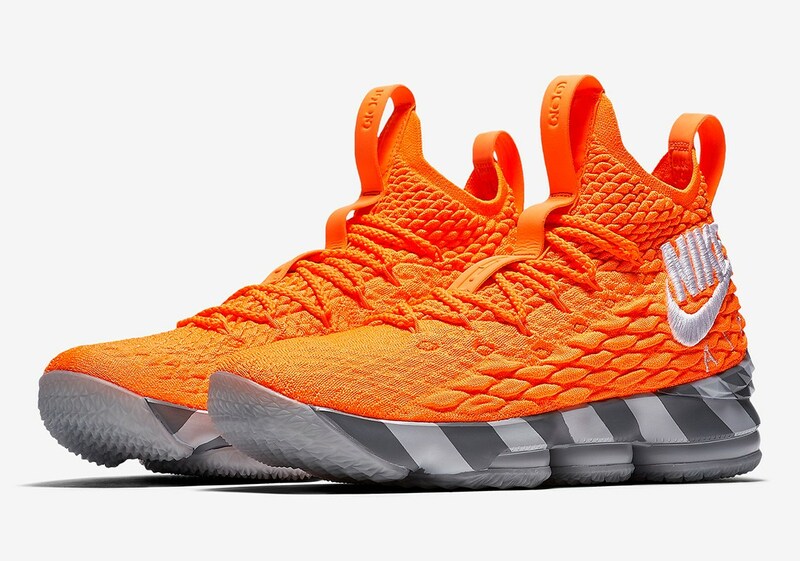 There are some odd colorways of the Nike Lebron 15 and while I haven't seen this in stores yet, there are some colorways that I don't feel in images but look good in actuality (like the California colorway). 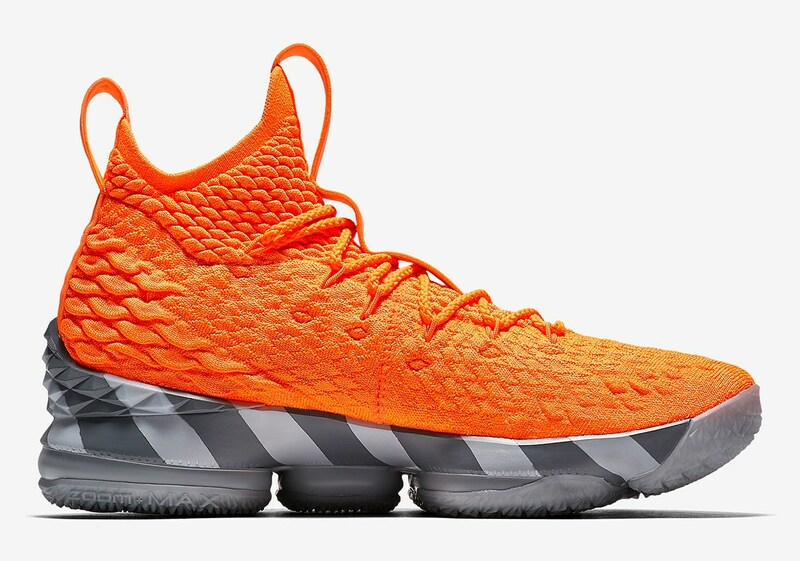 There is no release date yet but these are projected to retail for $200.